If you’re looking for an affordable and efficient sedan or hatchback near Southgate, then look no further than the new Kia Rio, on sale now at Kia of Cerritos. The new Kia Rio hatchback and sedan are both offered in three generously equipped trim levels, including base features like a rearview camera and SiriusXM® satellite radio, as well as available features like Apple CarPlay™, Android Auto™, and advanced driver assistance features. Kia Rio gas mileage comes in at up to 37 mpg highway and 29 mpg city, and you can finance the Kia Rio today at our dealership Cerritos. Get a New Kia Rio Lease Near Orange County at Kia of Cerritos! The new Kia Rio price starts at just $15,300 MSRP, and you can find it in the trim of your choice right now near Carson at Kia of Cerritos. 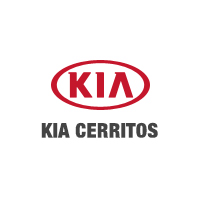 Check out all the new vehicle specials going on right now at our Cerritos Kia dealership, and stop into our state-of-the-art Kia service department for everything from oil changes to powertrain repairs. We’re open for sales seven days a week, and you can reach us at (562) 860-2424.